← What Happens When You Leave The DCP? 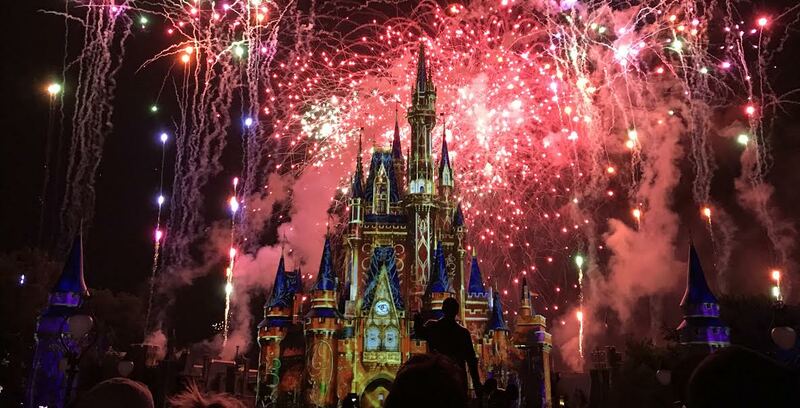 It is no secret to anyone that knows me, or reads this blog, that I am in love with Disney. My time on the Disney College Program only made my love for Disney stronger and ever since I left, I’ve been itching to go back and work for the company again. I am so happy to announce that I have been accepted into the Disney College Program once again! I will be an attractions cast member and my program will start on August 22 and end on January 5. But right now? It doesn’t feel the same. The feeling you get when you’re accepted to your first program is unlike any other feeling. Doing something the first time around is always the most exciting. And it’s not that I’m not excited…but this just feels different. I will be a year and a half older than I was on my first program. I will be a college graduate. I will be in a long distance relationship. I will be, well, a real adult. Aaaaand cue the nervous laughter. I know that my second program will not be the same as my first and I don’t intend on trying to compete with my former self or my past program. To do that would be to set myself up for disappointment because nothing will compete with my first experience. I have decided to treat this as a whole new experience because, well, it is! I will be doing the fall program- I did the spring program the first time. I won’t be in college this time around so I won’t have to worry about taking classes while also working 35-40+ hours a week. I want to live offsite with my best friend, whom I actually met on my first program. And because I get a second chance, I want to do things differently. I want to attend seminars, networking events and really market myself. I want to make connections and find out how people managed to work their way up in the company because I want to be part of that world. I had a fun time on my first program and I think it served its purpose for me in that moment, but this time around I want to make some big things happen for myself and that means taking the necessary steps to get to where I want to be. The program will be a great way for me to transition from college to the real world and I plan to get everything out of it that I possibly can. I’m determined to land a Professional Internship following my program so that I can get experience in the field I am in love with-social media. They are highly competitive and not easy to get, but I’m going to work my hardest to make sure I am a top contender. I know several people who started on the college program, completed a professional internship and landed their dream job, so why not me? I am on my way; I can go the distance. And I can’t wait to see how far I can take myself this time. Congrats! I started following your blog about a year ago when I was getting ready for my first College Program as a Merchandise Cast Member. I am also getting ready to go back, this time as Attractions!! Aw that is so sweet to hear! And oh my gosh, we’re basically twins! Maybe we’ll get to be at the same attraction!! Congratulations to you as well! You can try to apply for the international program if you are a student, otherwise you can look for job opportunities on the Disney careers website. Congrats! I am hoping to apply for Fall 2017, so I can’t wait to follow your journey! Thank you so much and good look! Congratulations! My daughter is going to be in the Disney College Program the same time as you, but arriving a week earlier. She is super excited and is a huge Disney fan(actually our whole family is)! Love your website and all of the great things you’ve written about DCP! Good luck in the fall! Thank you and congratulations to your daughter as well! Tell her she can find me during the program if she wants to hang out or needs advice/help!